The Elna 664 Pro is a compact, easy to use, and basic overlocker that makes a great choice for those learning how to use an overlocker/serger. 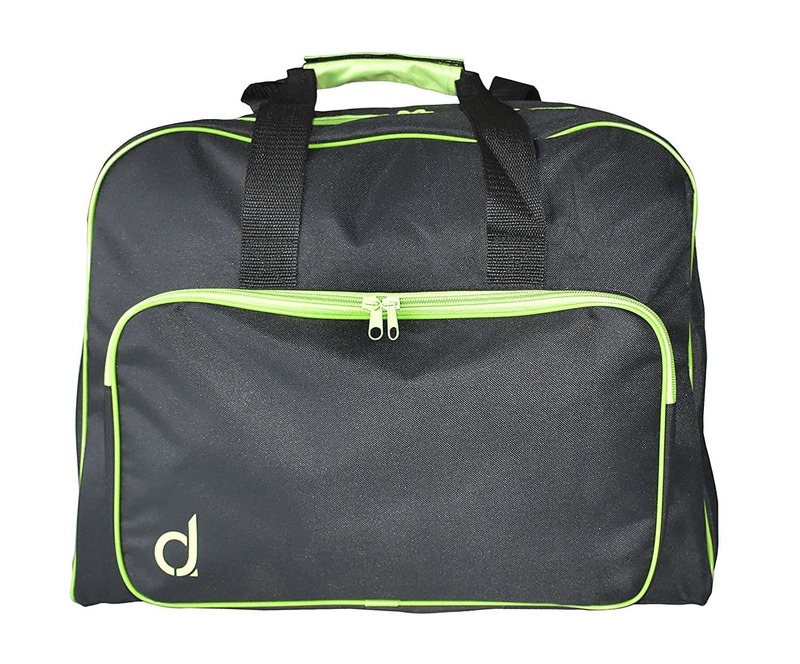 The model is also a feature-rich unit packed with many functions that you won’t find in your average sewing machine. Overlockers are admittedly difficult to thread especially if you’re not used to them. 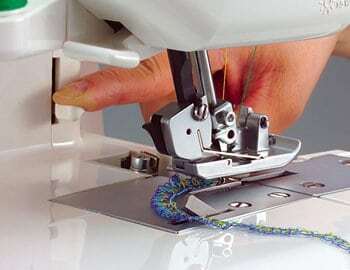 But with Elna’s 664-pro overlock sewing machine, threading could not be any easier. This machine takes the guesswork out of threading thanks to its colour-coded system and self-threading lower looper. It has a tilting clamp that locks into position during sewing but can be moved forward when threading the needles. There’s also a program reference panel printed right on the machine, which indicates ideal tension settings for different stitch types. This helps to save time because you’ll not have to serge-test seams on a piece of fabric every time after threading the machine. If you need a little help with thread tension settings, simply refer to the program reference panel. 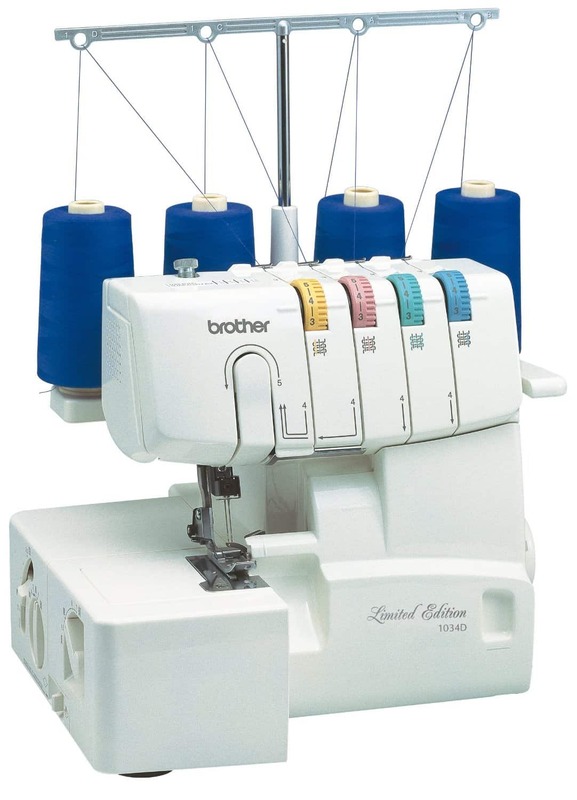 The Elna 664 Pro overlocker can sew 2, 3, or 4 spools of thread all at once. It’s a versatile machine that can also create about a dozen stitches. 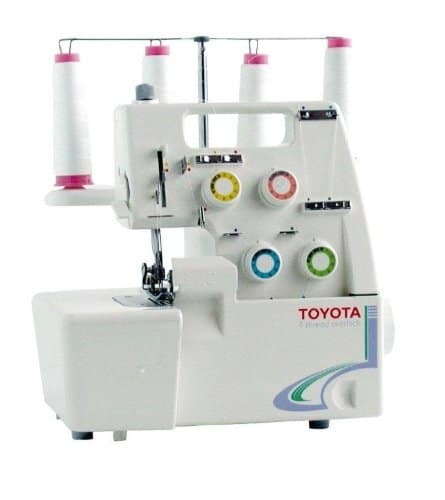 This overlocker can produce stitches such as the 2-thread overcast, 2/3-thread flatlock, 2/3-thread rolled hem, 3-thread overlock, 3-thread wide stitch, 3-thread narrow hem, the 4-thread safety overlock, stretch knit, stretch wrap, and a 4-thread gathering stitch. The program reference guide printed on the front facilitates easy stitch selection. 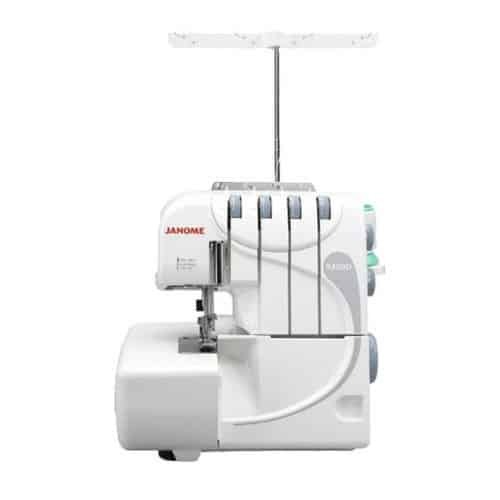 Like all true overlockers, this model has a built-in blade that will trim excess fabric as you sew. You can adjust the cutting width from 3.0 to 7.0 mm to meet the overcasting needs of the fabric being sewed. The stitches can be adjusted in length from 1.0 mm to 5.00 mm as well. 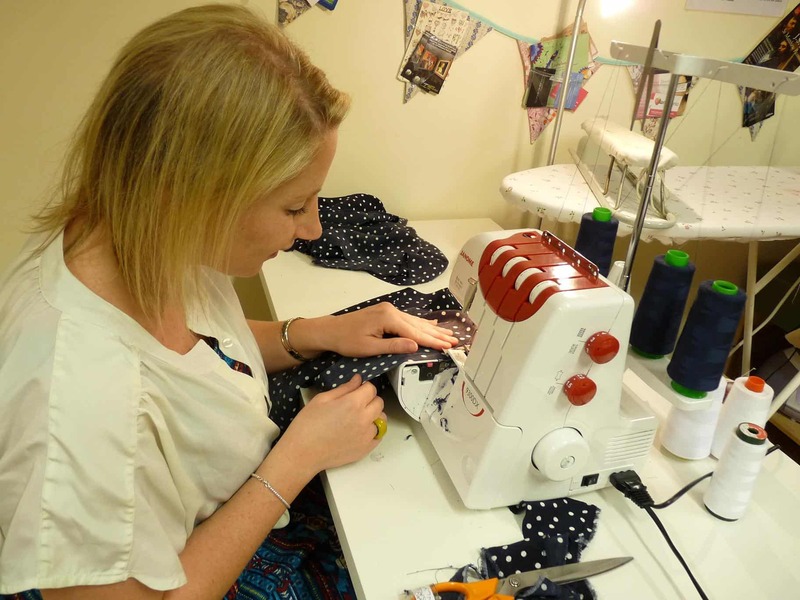 What’s more, Elna’s 664 pro overlocker is a fast machine that can produce up to 1300 stitches per minute. Elna’s 664 pro overlocker costs a bit more compared to other 3/4 Sergers from Brother, Janome, and Singer. The price difference is due to the exclusive accessory box that this model comes with, which packs more attachments and tools than what you’ll normally get right out of the box with other brands. 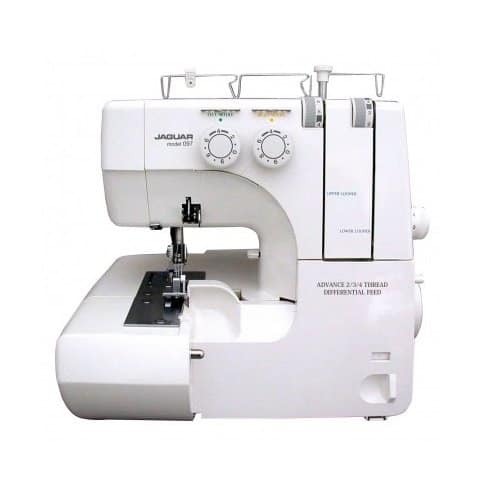 For instance, this Elna overlocker comes with up to 7 snap on accessory feet, a dust cover to protect the machine when not in use, and the waste tray that catches fabric scraps to keep your work clean. Additional accessories include spool holder caps, nets, tweezers, needles, screwdrivers, a wrench, the 2-thread converter, tension release clip, cleaning brush, and oil for lubricating the moving parts. All accessories can fit in the included accessory box. There’s also a built-in storage compartment for the accessory box inside the front panel of the machine. The Elna 664 pro overloker is quite adaptive courtesy of its adjustable foot pressure and differential feed functions. The differential feed setting can be adjusted from 0.5 to 2.25 mm, allowing you to create ruffled edges or even work on knits and stretchy fabric. The adjustable foot pressure lets you choose a comfortable pace to work with when sewing. Helpful display chart attached on the front with setting suggestions for thread tension, differential feed, stitch length, etc. 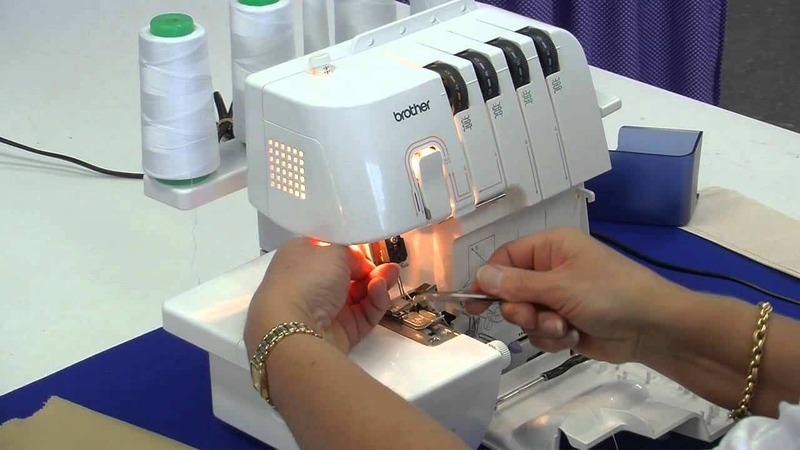 Consumer ratings for the Elna 664 pro overlocker are generally positive. Most buyers have rated this machine with 4 or full 5 stars on various websites such as Amazon and BestBuy. Users love the fact that this overlooker is easy to thread and use. And while it has a few drawbacks as listed above, this model seems to have won the approval of the majority of its buyers. With features such as the colour-coded threading guide, tilting needle clamp, self-threading lower looper, program reference panel, adjustable differential feed, and a dozen 2/3/4 stitch selections, the Elna 664 pro is a decent overlocker for both intermediate and novice users. This unit may cost slightly more compared to other 3/4-thread overlockers, but it also comes with a larger collection of accessories. The best part is that Elna offers a two-year parts and labour guarantee free of charge when you buy from approved sellers. Overall, this model offers good value for the price if you’re looking for a 2-4 thread machine.